Born in Manchester in 1960, Damien Rochford studied Art and Illustration at Bolton College of Art and Design. On moving to Bristol in 1980 he went on to study Post Graduate Illustration and Printmaking at the Art College in Bower Ashton, where his focus was on the human figure. He worked for many years as an illustrator in publishing, advertising, editorial and animation, and also the computer software and games industries, before taking up sculpting in 2007, where he started by producing a series of small busts. Damien is mainly self-taught as a sculptor, but his inspiration has been many of the famous figurative sculptors including Bernini, Rodin, Degas and Henry Moore. He works with a variety of materials including; traditional clay, wax, plastering and polymer clays before having the works cast in bronze. He draws constantly and finds this a great asset in his sculpting. The human form is a major influence in his work. 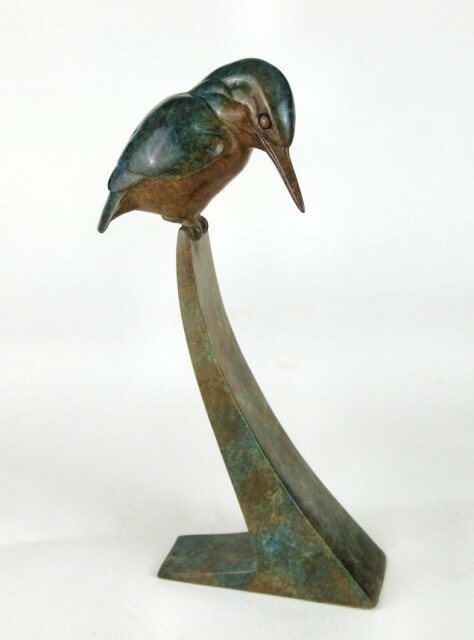 Living and working from his studio at home in Hampshire with his family and a variety of animals, Damien Rochford's has now begun to be influenced and based on the wildlife around him.